As a business owner, your time is limited. 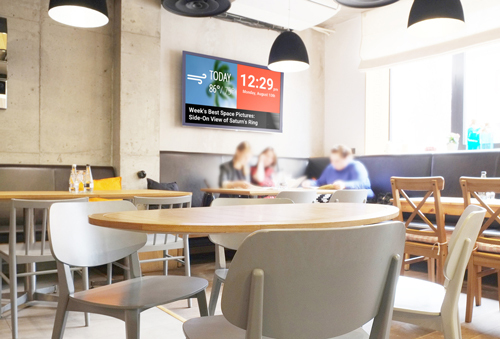 If you are new to digital signage and want an affordable do-it-yourself approach, this is the solution for you. OnSign TV is extremely easy and simple. Take advantage of a simple drag-and-drop interface. You don’t need to be a geek, or an IT guru to deploy your signage screens. Apps which show dynamic content like weather forecasts, RSS news or text scrollers are easily embedded. Sign up for an account to get started.